Suburban Endocrinology offers patients with insulin-dependent diabetes a comprehensive insulin pump program. Suburban Endocrinology offers patients with insulin-dependent diabetes a comprehensive insulin pump program. 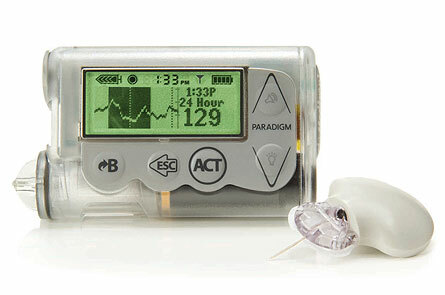 An insulin pump replaces the need for multiple insulin injections throughout the day by providing a continuous dose of insulin throughout the day through a catheter. Instead of taking multiple injections a day, the pump emits insulin continuously and covers meal intake with extra doses, similar to the way the human pancreas works. Many patients report preferring an insulin pump rather than giving themselves multiple injections throughout the day.